Tokyo, July 3, 2013 - Fuji Heavy Industries Ltd. (FHI), the maker of Subaru automobiles, today announced that Subaru's January-June sales of 2013 hit all-time highs in the U.S. and Canada. Subaru also posted best-ever June sales in both markets. The U.S. sales for the first 6 months of 2013 hit a record high with 204,597 units (up 24.5%) exceeding the 2012 record of 164,304 units. The growth was led by the Subaru XV *1 (25,090 units) newly introduced in 2012 as well as the Forester models (up 36.8% to 50,748 units) propelled by the all-new version which went on sale in March 2013. Subaru posted best-ever June sales in the U.S. with 39,235 units (up 41.6%) largely surpassing the 2012 record of 27,702 units. 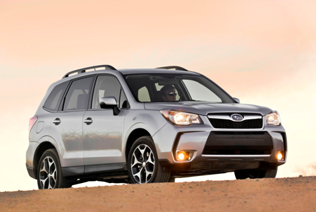 The sales were led by the all-new Forester with its enhanced drivability as well as its safety excellence as recognized with prestigious accolades including the IIHS 2013 Top Safety Pick+ *2 award. The sales in Canada for 2013 January-June period hit an all-time high with 17,184 units (up 16.9%) breaking the 2012 record of 14,699 units. As with the U.S., the sales were led by the Subaru XV *1 (2,752 units) newly introduced in 2012 as well as the Forester models (up 41.2% to 5,073 units) driven by the all-new version launched in March this year. Subaru posted best-ever June sales in Canada with 3,200 units (up 24.2%) surpassing the 2012 record of 2,576 units. The sales were largely driven by the all-new Forester (up 59% to 1,070 units). *3 June sale figures for Canada are preliminary.